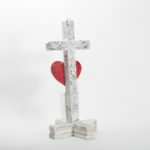 Wooden cross painted white and covered with handwritten signatures. There is a heart cut out of wood and painted red attached above a laminated photo of Luis Omar Ocasio Capo. 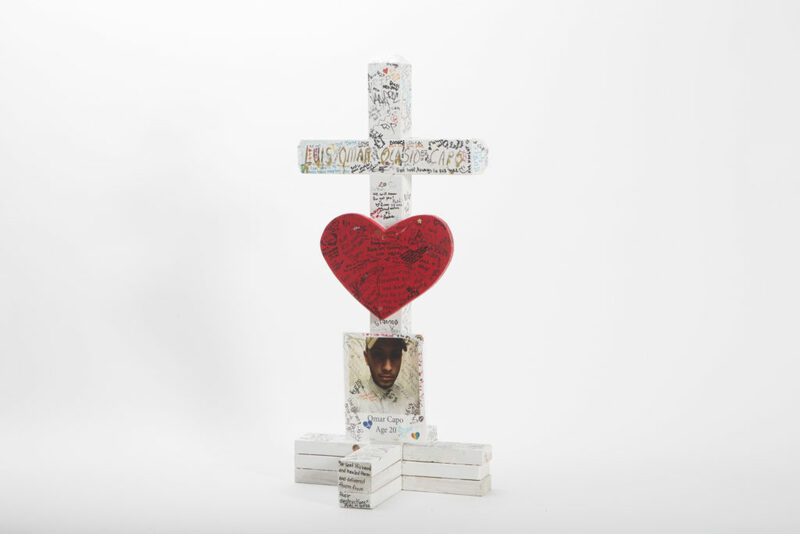 Historical Notes: Moved by the June 12 Pulse Nightclub shooting, Illinois carpenter Greg Zanis created a wooden cross for each of the 49 who perished. On June 16, after driving 1200 miles to Orlando, he placed them alongside Lake Beauty on the Orlando Health campus, just outside Orlando Regional Medical Center. There, each cross became a growing memorial for those lost in the shooting. 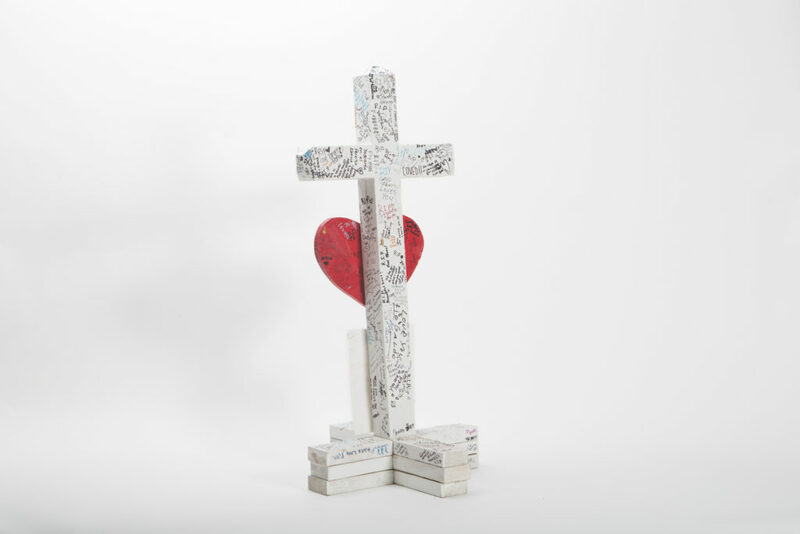 On July 12, the History Center transferred the crosses into its One Orlando Collection.